AKG has introduced a new addition to its headphone collection, the AKG Y-Series, with a stand-out modern look. There are three pairs of headphones included in the range, the AKG Y50, AKG Y40, and AKG Y45 BT, all having a closed ear cup design, and a folding mechanism. The AKG Y50, available in teal, yellow, black or red, are designed to be lightweight, whilst having 40mm drivers to ensure sound quality. The headphones also come with a detachable, 1.2m cable with remote and microphone for hands-free accessibility, and cost £79.99. The AKG Y40 continues the striking theme of the Y-Series, available in blue, yellow, and black. Designed with portability in mind, the 3D-axis fold-flat mechanism and soft case allow for easy storage and safe transport, and are £10 cheaper then the Y50's at £69.99. 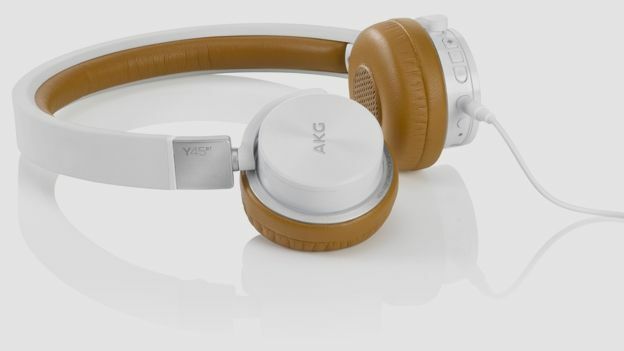 The AKG Y45 BT headphones connect to your device over Bluetooth, with controls built into the headphones, allowing for wireless listening. The rechargeable power source reportedly lasts up to 8 hours, and are available in black with grey trim, or white with a beige trim, for £109.99.